We are Michael and April. Greater health is possible. For a long time, we drifted from one diet to the next, never quite satisfied with the results that we were seeing. Then, we discovered the keto diet, and everything changed. 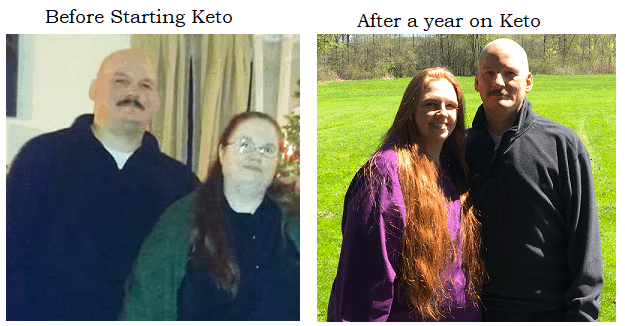 Better Health Is Possible… through Keto! We are April and Michael and we are on a mission to spread the word about the wonders of keto eating. After following the keto diet for a year, April has lost 75 pounds and Michael has lost 45 pounds. We are healthier than we have ever been in our lives. A couple for 25 years, we have been through everything together, raising two boys, ages 17 and 22, and keto has brought us even closer together and given us a new lease on life. Whereas before we were struggling with our health and facing some serious issues, we now feel great and we owe it all to keto. We have information and recipes for which you will find right here on our website! We hope that you will join us as we continue on our journey. Check out April and Michael’s Journey for more pictures on each of our first post. I have always loved to cook and bake; now I can do it in a healthy way and share it with all of you. I have been really enjoying learning this new way of cooking and experimenting in the kitchen. I also have been learning how to take pictures for this new blog of ours and that has been really fun and challenging. Other things I enjoy are crocheting, knitting, and sewing. I used to sew my kids Halloween costumes before they grew out of trick-or-treating. My book collection is insane and I have hardly any time to read them, but I still love my books. I have always loved to eat what April loves to cook and bake! 😉 I am so glad she took the initiative with the keto diet and brought me on board. Like she has mentioned before, we are healthier now than we have ever been our entire lives. This healthier lifestyle has afforded me more energy and opportunity to increase certain activities I enjoy, such as: martial arts, yoga, and resistance training. Some other interests I have a penchant for: thunderstorms (I love the sounds of it), being deeply enthralled in a musical activity (I play guitar and bass), zen, sharing the company of my wonderful family, philosophy, enjoying the beauty of nature, 1980’s nostalgia, and being in a state of transcendence through meditation. Update: We have lost 125 lbs together now and have been on keto for almost 2 years now. 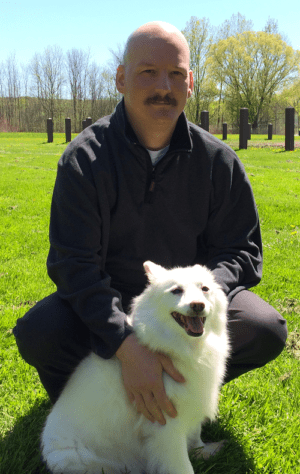 Our beloved dog Lexus passed away in October 2018. She will be greatly missed.